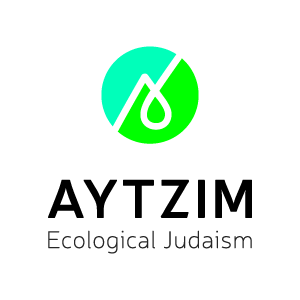 Create a position of environmental officer in the Jewish Agency who will have extensive authority to review the ecological implications of Zionist-funded activities, require full environmental-impact statements, and work proactively to increase use of public transportation, adopt strict emissions standards and require the use of clean gasoline free of lead and other unnecessary contaminants. Establish policies in Keren Kayemet L’Yisrael / Jewish National Fund (KKL-JNF) to encourage and support preserving open spaces, protecting threatened species, confronting Israel’s water crisis, promoting river restoration, reducing pesticide use, and adopting a transparent, open and democratic decision-making process regarding forestry management and other environmental initiatives. Encourage regional environmental policies, reflecting the reality that our environment is not limited by political boundaries, but is shared. Encourage all Zionist educational institutions and programs supported by the Jewish Agency to integrate, where appropriate, ecological education topics into their curricula and programs. Require that all Jewish Agency funding programs, such as the Jewish Agency grants or Partnership 2000 initiatives, grant a sizable portion of their funds to projects in Israel designed to improve Israel’s environment. Require that all official vehicles driven by Jewish Agency workers meet tough emission standards (similar to a recent policy adopted by the Tel Aviv city government). Work with other Zionist parties who support ­­­­­­­religious pluralism, civil and human rights, and the peace process, and support policies that forge a harmonious relationship among all sectors of Israel’s diverse society.